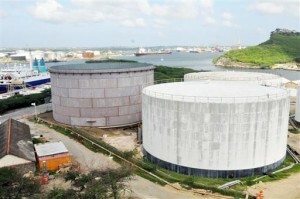 WILLEMSTAD - Curoil has made more than 25 million guilders ​​in profit in 2013. That is 10 million more than in the previous year. The fuel distributor mainly earned this income from foreign operations such as bunkering, sales to aircrafts and to Bonaire and Aruba. But the company was also able to save 4 million guilders by working more efficiently. Curoil’s subsidiary company, Curgas, which distributes propane gas, suffered losses during the year 2013.